cViews of children's psychological development have varied widely over the course of history, and still vary across cultures and political regimes. 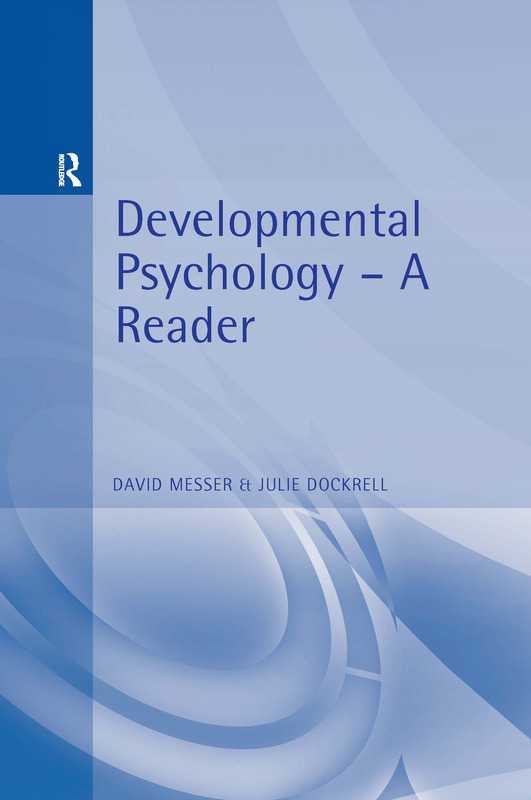 Having started from a philosophical perspective, with Locke's notion of a 'tabula rasa' and Rousseau's idea of innate qualities, the debate about mechanisms of child development has become a field of scientific endeavour that has grown dramatically in recent years. David Messer and Julie Dockrell bring together both classic papers and more recent publications which have already had an impact. Providing a balance of theoretical, empirical and review papers, they cover research on infants, children and adolescents. The readings are arranged in chronological order, with sections on Starting Off in Life, Language and Communication, Cognition and Representations, Literacy and Numeracy, Others and Their Influence, and Towards Adulthood. They also offer helpful suggestions about ways of using the reader and developing related study skills, as well as practical advice on writing essays and research papers.